New research from the University of Colorado Cancer Center has found that a non-invasive breath test may be an effective way to screen for lung cancer and detect what stage the cancer is in. The breath test device—developed by researchers from the University of Colorado Cancer Center and the Nobel-Prize-winning Technion University in Israel—is a response to the need for improved screening and diagnostic tools for lung cancer. Another goal of developing a breath test was to differentiate among people with lung cancer, those with other lung conditions, such as chronic obstructive pulmonary disease (COPD) and people with healthy lungs. In the study scientists recruited 358 people from Israel, Denver and Florida, 213 of which had either early or advance stage lung cancer and 145 who did not have cancer. The researchers tested the accuracy of the breath test, which involved the study’s participants blowing up a balloon that was then connected to a gold nanoparticle sensor. The sensor worked by trapping and analyzing organic compounds in the breath samples. 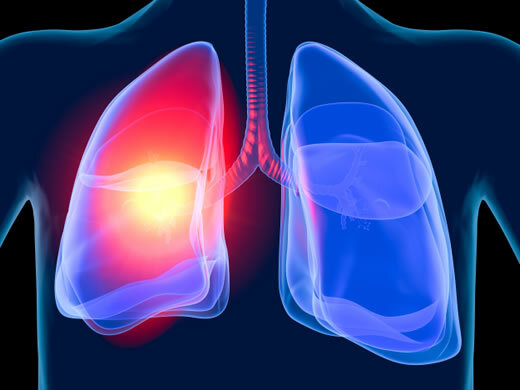 The results showed that the nanosensor was able to distinguish between COPD and lung cancer with an accuracy of 85 percent and was able to distinguish between early and advanced cancer with an accuracy of 79 percent. Researchers said that with further research and refinements, the device could be used for initial screening or diagnosis, as well as measuring patients’ progress over time to measure the effectiveness of various treatments.